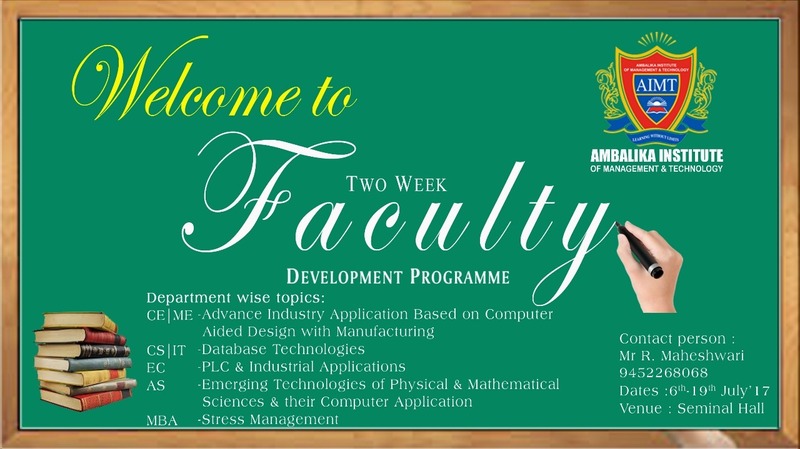 Under the auspices of AIMT Lucknow, FDP Program is being organized for faculty members from 06.07.17 to 19.07.17. Note: No Fee shall be charged for FDP Program. Person of reputed Industry shall be taking Lectures. Faculty members from all colleges are cordially invited.